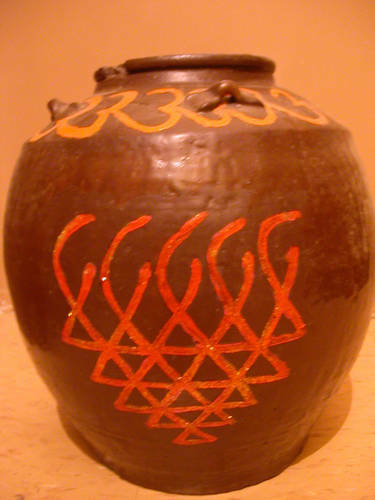 This old jar was used for storage many years back.A few years back I painted it. The upper yellow line is OM chanted during meditation. The lower one in red is a graphic representation of Saraswati, goddess of education, arts and skills. A beautiful shot. Thank you for explaining the symbolism. I thought if might be fire. You did a good job hand painting the jar.